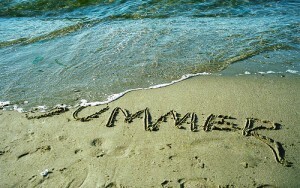 This time of the year is one of the saddest for many people because summer is coming to an end. A very famous musical duet in Spain were “El dúo dinámico”. They used to sing a popular song entitled “El final del verano” (The end of summer). These days you can see families who are about going back home from the beach; kids, who used to play every single day in the swimming pool, feel blue now because they need to to study again; Their parents will start doing execise in order to counteract the excesses during this season; most of customers will stop buying souvenirs or having dinner at the restaurants, and cities by the coast will continue to live their routine lives until next summer. On www.spanishviaskype.com we remain faithful to our weekly article. Continue reading to learn some phrasal verbs in Spanish. The perífrasis verbales are groups of words, formed by one verb in a personal form (with those endings to identify the verbal person) and another verb in an impersonal form (infinitives and gerunds). What makes perífrasis so important and sometimes difficult to remember is the change of the first verb’s normal meaning. Estar a punto de + infinitivo (to be about doing something): already studied in this article, it means an action on the point of doing something. Ej: Estos días puedes ver familias que están a punto de volver a casa (are about going back home). Soler + infinitivo (used to do something): we express a frequent action in the past. Ej: Los niños, que solían jugar cada día en la piscina (kids, who used to play). Volver a + infinitivo (to do something again): It’s an action, that was interrupted in the past but now it’s resumed. Ej: Deben volver a estudiar (they need to study again). Ponerse a + infinitivo (to start doing something): it meas an action that is going to begin. Ej: Sus padres se pondrán a hacer ejercicio (their parents will start doing exercise). Dejar de + infinitivo (to stop doing something): with this perífrasis we express the interruption of an action. Ej: Los clientes dejarán de comprar regalos (Customers will stop buying souvenirs). Seguir + gerundio (to continue to do something): It’s an action that carries on. Ej: Las ciudades de la costa seguirán viviendo sus rutinarias vidas (cities by the coast will continue to live their routine lives). 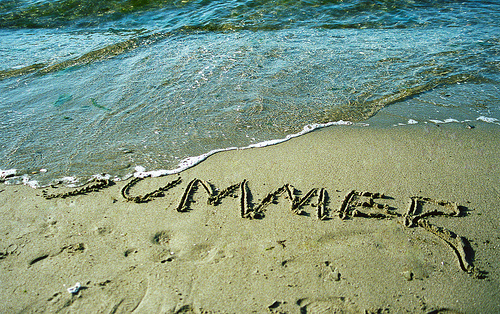 Although El dúo dinámico sang: “El final, del verano, llegó y tú partirás” (the end of summer arrived and you’ll leave), on www.spanishviaskype.com, we’ll stay and help you to study Spanish via Skype. Let’s try a free trial lesson here and maybe, next summer you can come to Spain.